Responding to India's first-innings total of 250, Australia were all out for 235 to give the visitors a 15-run lead at the Adelaide Oval. 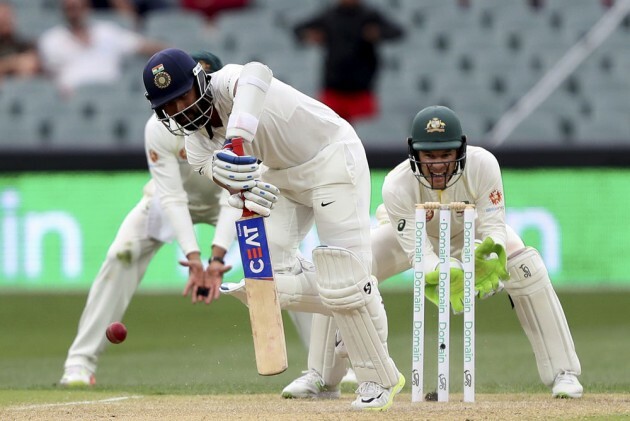 India were 151 for three at Stumps on the third day of the opening Test of Border-Gavaskar Trophy against Australia at Adelaide Saturday, extending their overall lead to 166 runs. Skipper Virat Kohli and Cheteshwar Pujara came up with a steady partnership as India put themselves in a strong position. Pujara was batting on 40 while Ajinkya Rahane was on 1 at the other end. The Indian captain was well on his way to what would have been a well-deserved half-century when he was outfoxed by some extra turn from off-spinner Natha Lyon a short while before stumps. This is the sixth time that Lyon has dismissed Kohli in the longest format of the game, the most in world cricket. Earlier, responding to India's first-innings total of 250, Australia were all out for 235 to give the visitors a 15-run lead at the Adelaide Oval.